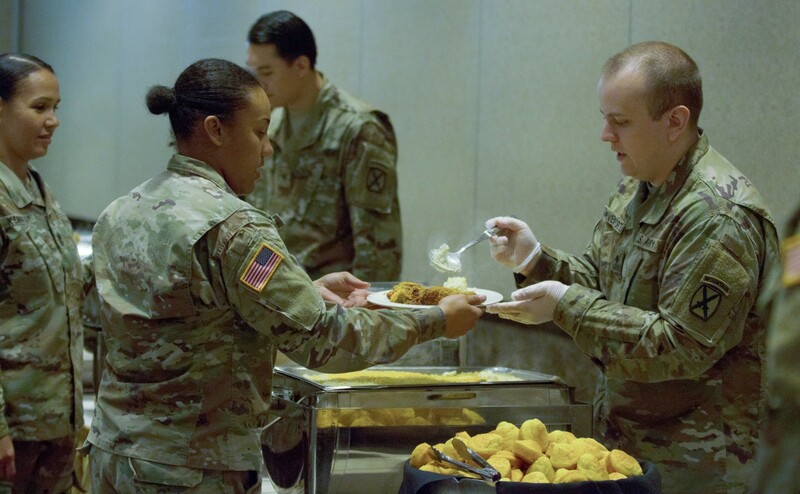 FORT DRUM, N.Y. (Sept. 20, 2018) -- Fort Drum community members gathered Sept. 19 at the Commons to celebrate National Hispanic Heritage Month and recognize Hispanic Americans' culture, heritage and contributions to the nation. Capt. 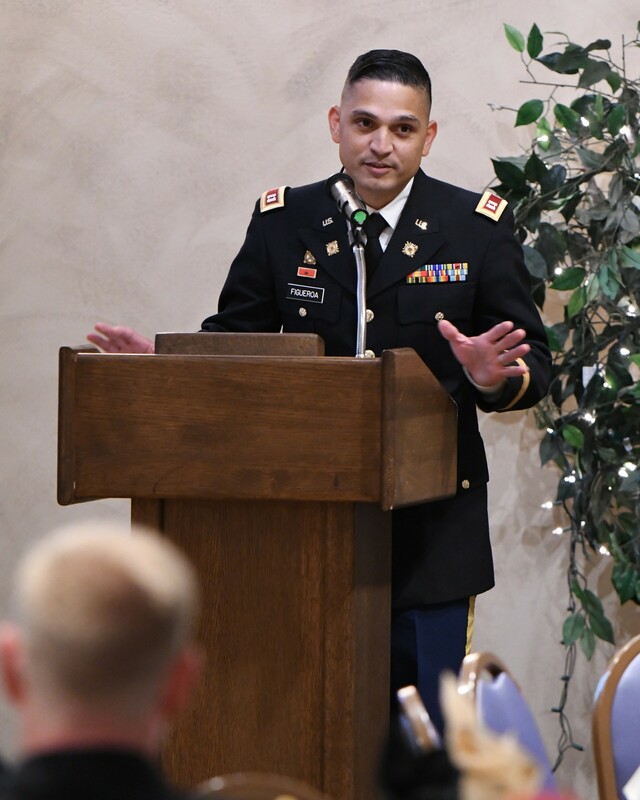 Jorge Figueroa, commander of A Company, 277th Aviation Support Battalion, 10th Combat Aviation Brigade, was guest speaker and said he was grateful for the opportunity to talk to the audience. 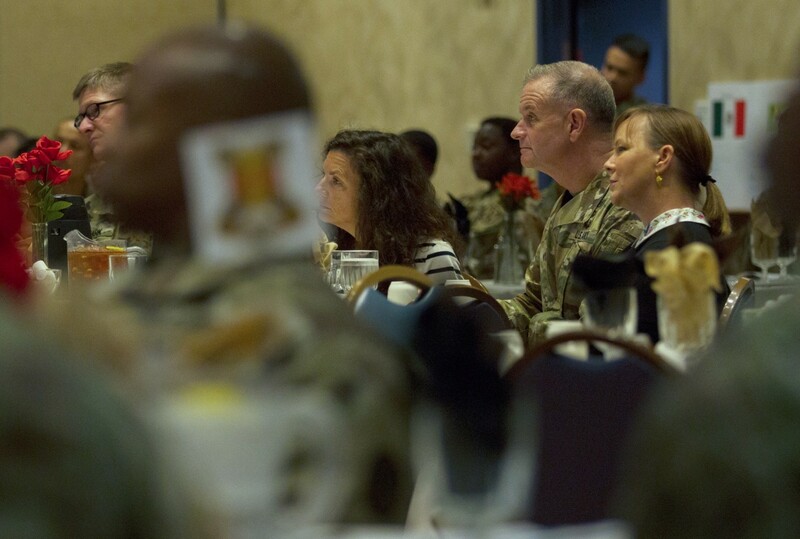 "This type of event communicates and shows within our organization that the diversity in cultures is what keeps us strong and climbing to glory," he said. Figueroa, a native of Puerto Rico, said that joining the military was his boyhood dream and he was inspired by an uncle who was a Vietnam War veteran. In 2003, while visiting his uncle in New York, he took the Armed Services Vocational Aptitude Battery - or ASVAB test - for the first time. Speaking in broken English, he asked a recruiter when he could leave for basic training, but Figueroa scored too low for Army standards. "I won't deny I felt like I had failed in life, dreams shattered," he said. "But who hasn't had their dreams crushed? I did take the ASVAB again, three more times to be exact." Figueroa said that the Puerto Rico National Guard had a program that helped recruits learn English and math skills to improve their scores. When he finally passed the ASVAB, he found that it was just the first challenge he would encounter in the Army. He completed basic training by employing a "monkey see, monkey do" strategy. 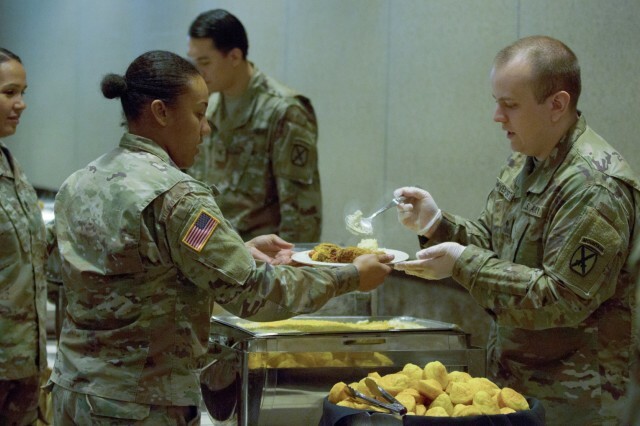 The language barriers became apparent during advanced individual training, and continued through college and Reserve Officers' Training Corps. 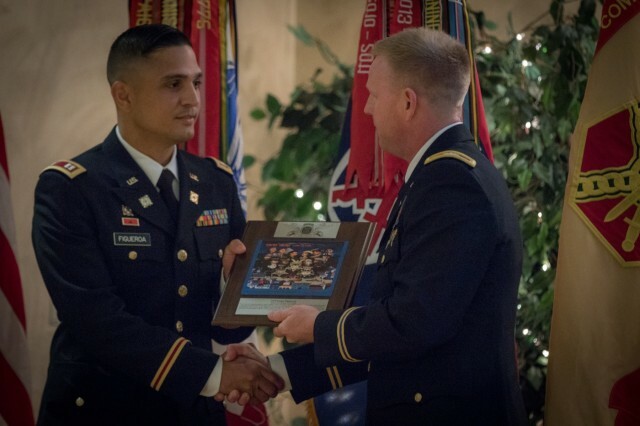 "Even when I started in active duty service as an officer, it was challenging," Figueroa said. "(I was) expected to have a proper vocabulary and enunciation. My Hispanic values, merged with the Army values, helped me find who I really am and what I am capable of." Figueroa said that when he thinks about the hurdles in his path to success, he is reminded of the Hispanic Soldiers who experienced the same language barriers and still served and fought during several wars. They were called the "Borinqueneers," of the 65th Infantry Regiment, under the 3rd Infantry Division and were activated from 1899 to 1956. "These men's performance was unmatched, regardless of the challenges and limitations they had to face before, during and after each battle," he said. Figueroa said that the Spanish-speaking "Borinqueneers" were marginalized because they had a complexion similar to African-Americans and couldn't communicate well with others. "The language limitation caused a perception of them not being capable, they had segregated showering facilities, personnel were rotated or assigned missions based on ethnic prejudice and punished with court martial if they spoke in their native language." 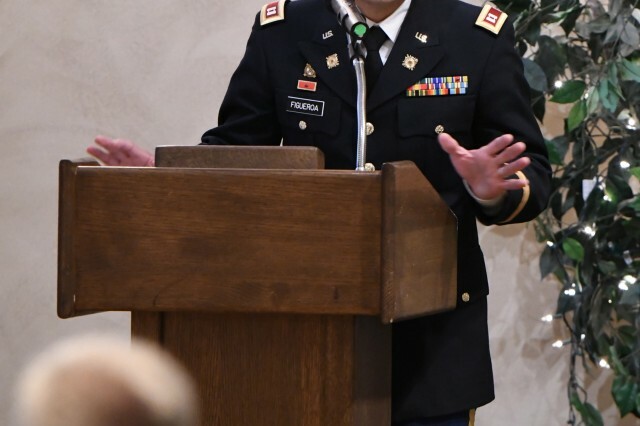 Figueroa said that despite all of that, the "Borinqueneers" remained professional and humbled in their service, and that is the lesson that people of every race and nationality can appreciate. "These brave men's actions teach us that if the "Borinqueneers" could put aside personal difference and communication difficulties to fight and protect our nation, overcoming daily challenges are just pebbles on the road," he said. "Being in the Army strengthens our values, it makes us a better person. Everything I am, I have, and learned, is thanks to the Army. Yesterday, I was battling through my challenges. Today, I am honored to be a company commander in the 10th Mountain Division."